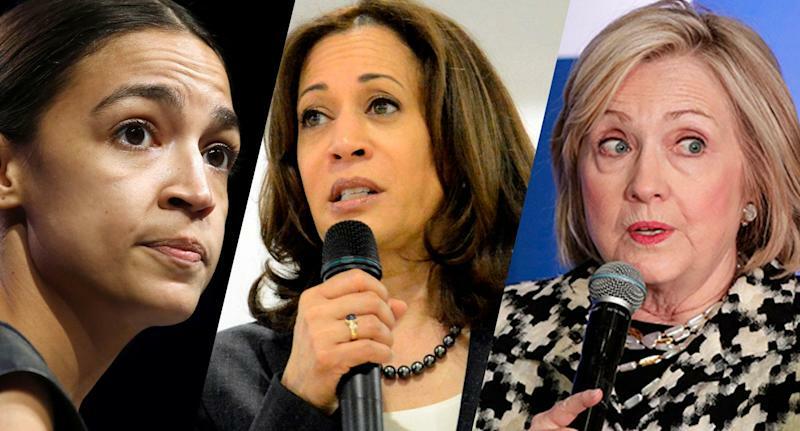 Hillary Clinton and Sen. Kamala Harris on Wednesday joined Rep. Alexandria Ocasio-Cortez in denouncing a Republican-sponsored bill in the Florida legislature that would require felons seeking to have their voting rights restored to pay back the state for the cost of their trials. On Tuesday, Ocasio-Cortez, D-N.Y., likened the bill’s provisions to the Jim-Crow-era poll taxes meant to keep African-Americans from voting. Former Democratic presidential nominee and Secretary of State Hillary Clinton agreed on Wednesday, citing the 24th Amendment to the U.S. Constitution, which outlawed poll taxes as of 1964. "The right of citizens of the United States to vote in any primary or other election... shall not be denied or abridged by the United States or any State by reason of failure to pay any poll tax or other tax." Sen. Kamala Harris, D-Calif., also decried the measure, describing it as a ploy by Republicans to keep felons who have already repaid their debt to society from voting. The bill, which passed the Criminal Justice Committee of the Florida House on Tuesday, would require ex-convicts to repay the costs of their trials, which could amount to thousands of dollars, in order to have their right to vote restored. Until this year, Florida generally disenfranchised felons for life. A constitutional amendment to allow them to regain the right to vote passed with the support of 64 percent of the voters last year. The amendment was largely supported by Democrats, although it isn’t clear that the party will benefit greatly. Data show that ex-felons vote at low rates and do not show a strong partisan affiliation, Vox News reported. The bill, if it passes and is signed into law, will almost certainly be challenged in court on Constitutional grounds.